If you look at my goals below, everything has one thing in common, me. All my goals, are something I want to work on with myself, something that can only be done by me, no one else. Whether it’s going on an adventure & exploring the world around me, or losing more weight (already lost 53lbs in 6 months YAY!!) or doing more with my blogs, it all stems from me. If you would like to, feel free to look over my goals for this year. *walk @ least 3x/wk…….no matter the weather, which can be cold considering I live in New Hampshire. *improve my own self esteem, self worth, self love……. Have you picked your word yet? Or did you pick your resolutions? What is important to you this upcoming year? What are some of your goals? I would love to hear your thoughts. Leave me some comment love, it’ll make my day! 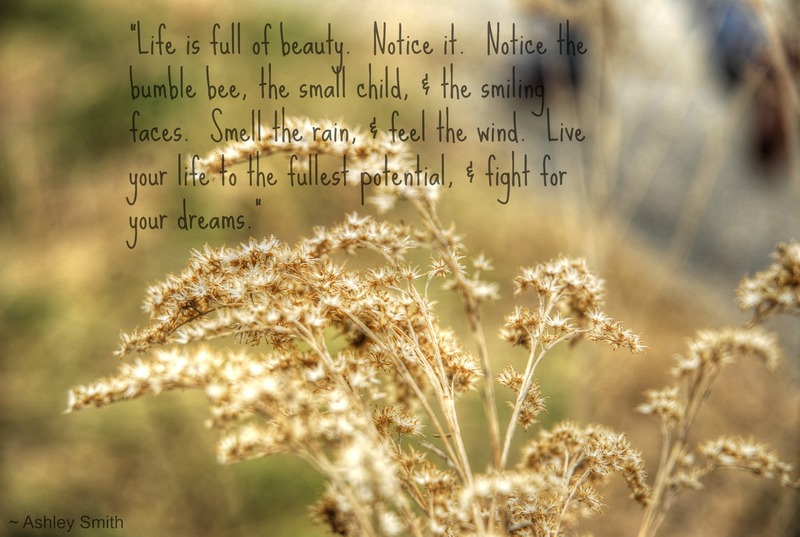 Life Is Full Of Beauty…. Resolutions, Word of The Year, Or Neither……..Which Do You Do? New Years will be here soon, which is the time that people make new years resolutions. I used to make them up until 3 years ago. There is nothing wrong with resolutions, but for me they didn’t mean anything. They didn’t get me motivated or excited, in fact a week later, I would forget that I even made them. Then all year life would march on, and once again around New Years, I would it all over again. Looking back, I find it funny how pointless it was for me. Don’t get me wrong, if it works for you, fantastic. Keep doing what works but if it doesn’t you may want to pick a word instead. 3 years ago, I stumbled upon people picking out 1 word, that they would use as their year’s theme, something they wanted to focus on throughout the year. I thought about it and really liked the idea. For me, this was great, all I had to do was pick 1 word. Well, it isn’t as easy as it sounds. And to take it one step further, once I pick the word, I would write down attainable goals to accomplish throughout the year. I would have been happy with completing 50% of my goals. Just like resolutions, I would forget about my goals, but when New Years came around again, I found the word and goals I wanted to work on, and you know what, I completed almost all of them. That’s when I realized the word of the year and goals works best for me, so from then on I have been doing just that. My 1st year I picked family and had about 15 goals (13 were completed) & my 2nd year I picked intentional and had 12 goals (all 12 were completed). For my upcoming year, I am still debating but narrowed it down to three words. When this happens, I write my goals out for the year, and see which word fits the best. I make sure my goals are realistic, attainable, & something that I would actually do. No dreaming or fantasy goals allowed. I will be posting on my word soon, but for right now, I am working on my goals. This year, I found a group of like minded people who also picks a word for their year instead of resolutions. If you are interested in joining or checking it out, go to oneword365.com. What do you do for the new year? Resolutions? A word? Something else? Or nothing? With Christmas around the corner, I thought it would be a good time to start my Frugal Foodie 3 part posts. The original post is really long, so I divided it into 3 posts to make it more reader friendly. If you have any questions please leave a comment and I will get back to you the following day. A little while back, I was asked from a non-profit in town to teach a workshop about how people can eat healthy on any budget. They knew I was the Queen of Frugalness. What I didn’t know when I agreed, was that I would have to make up the entire 3hr. workshop. This is the 1st time that I ever taught anything, I never speak in front of anyone because I hate it, and I have a hard time focusing on one idea. My mind runs away with hundreds of ideas each day. But I did it, and did it with great success. The place loved what I did so much, they asked if I would run a 5 wk. group doing the same thing, except this time I extended the topic to include numerous ways to be frugal and live below your means, and having fun with it. I made up the entire program myself and again had great success. That’s when I thought, why not do an online version of my group, in hopes of reaching a lot more people, helping and encouraging one another, and learning new things together. If anyone out there is interested please let me know. Frugal Foodies is about creatively living within your means, with frugal tips, ideas, projects etc. I want to give you fresh ideas, explore common ideas deeper, tools to help you with your frugal journey, and additional resources for when you need it. What is eating well/healthy eating mean? Ask people: What does healthy eating mean to you? What’s your definition? Then go on to the definitions below. Healthy eating consists of consuming the types and quantities of foods that offer an ideal balance between nutrition and energy to support childhood growth as well as adult metabolism. This involves choosing foods with more of the health-promoting vitamins and minerals and less of the detrimental fats, cholesterol, sugar and sodium. Achieving healthy eating habits is as simple as defining them, as all you must do is fulfilling your body’s needs at your stage of life. Growing up, most of us learned about foods and what to eat or what not to eat according to the USDA. The pyramid is no longer widely used, instead more and more professionals as well as everyday people are using a new diagram called: the Healthy Eating Plate. Below I am comparing the old pyramids to the new plate for you to see the differences. As you can see the set-up is completely different than what most of used are used to. Things are changed around which makes a completely new chart. No longer are they recommending 6-11 servings of grains, breads, cereal, or rice instead they are recommending to eat brown rice, whole-wheat bread and whole wheat grains. Instead of recommending 2-3 servings of dairy, now they are recommending to cut out down to 1-2 servings a day, if any. Instead of using oils sparingly, now they are recommending to use healthy oils more but to limit butter intake. That we shouldn’t use margarine instead use real butter, which is healthier for us. And the last big change is meats (proteins) went from 2-3 servings to the most intake on the plate design recommending limiting red meat to a few servings a week but eating more chicken and seafood. What do you think of the new food charts? Which one do you feel is healthier? Why? Before you can start to save on your groceries, you need to figure out which diet or which kinds of food you want to feed your family. Whether it’s traditional, whole foods, low fat, Paleo, gluten free and/or dairy free, vegetarian, or a combo of a few, you need to identify your diet or the diet you feel is best for your family. This needs to be done before you can go any further. Otherwise, meal planning can come difficult, and when things get difficult, people tend to fall back on old habits (junk food). Once you figure out what your diet plan is, you can begin to learn different ways that you can save you time and money. As well as eating healthier foods with your budget. What is a reasonable food budget? Everyone’s idea of a reasonable budget is different. In this room, if we ask around, not one person would have the exact same answer. The State of NH says that for a family of 4 a thrifty plan is $554.40, a low-cost plan is $706.40, a moderate plan is $873.00, & a liberal plan is $1080.30 per month. I personally, was shocked at how high their numbers were. Think about you budget and where you are compared to the figures above. For example, for my family of 7 we are just above the thrifty plan, which is $640 for a 4 week month. When I tell other what we spend, usually people can’t believe what I spend and how many people it feeds, especially having 2 teens in the house. And my budget of $640 isn’t just for food, it’s my weekly gas money as well as any beauty care or anything else money needed during the week. We aren’t uncomfortable; we actually eat very well, a lot healthier than before because we had to cut out any processed foods due to my health. This has been a real eye opener for us. There are so many myths about eating healthy, organic, gluten free that I have thought and found which stands in the way of the real truth about eating healthy. A few myths are: eating healthy is too expensive, which only the rich or people well off can afford. That’s not true. Another one is: it is too time consuming to shop at more than one store and my store in town doesn’t offer much of what I am looking for. That’s untrue. And my last one is: there are no coupons or sales for healthy foods. Like the other two, that isn’t true. The holiday season is the busiest time of the year for a lot of people. The stress of presents, decorating, kid stuff, school events, family functions, work parties etc….There’s a lot to fit in, in a short period of time. For me, it used to be a crazy stressful time, one that I thought I enjoyed. But looking back, I realized that I didn’t enjoy it much at all. 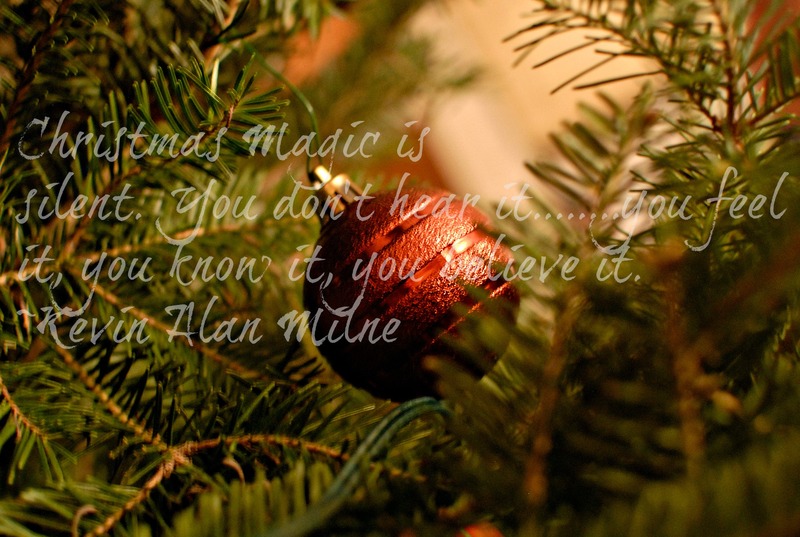 I never had time or energy to enjoy the magic of Christmas. A few years ago, I decided that things needed to change. I didn’t want to miss out on my favorite time of the year with my family. I didn’t want to miss out on the little moments,the moments that I should be cherishing. That’s when the holidays and the stress of it all changed for me. That’s when I decided to be more intentional with the activities and experiences rather than getting wrapped up in all the consumerism. And when I decided to make things simpler and more intentional, the holidays for my whole family became more meaningful to us. Your holiday will only be as stressful, busy, simple, or as fun as you make it. It’s all in your hands, no one else. So why make it anything but a fun joyful occasion. What are some ways you can make your holiday less stressful and more meaningful?